Soak up the local scene in Calgary and Canmore! No matter what time of year you visit the Alberta Rockies or Calgary, you’ll find a diverse range of fun seasonal festivals, holiday celebrations, sporting events, and more. 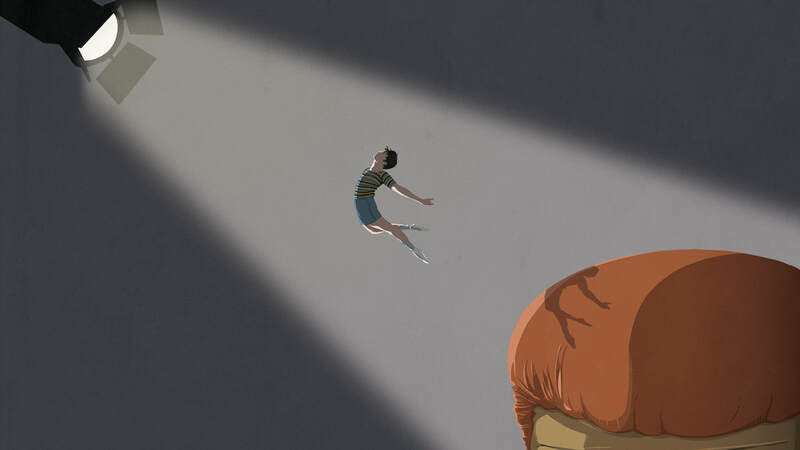 This 10-time Tony Award-winner is the story of Billy, an 11-year-old boy finding his way as a ballet dancer against all odds. This musical adaptation of the 2001 film features original music by mega-star Sir Elton John and is choreographed for its Calgary run by past Alberta Ballet principal dancer Yukichi Hattori. The heartwarming tale closes out Theatre Calgary’s main 2018-19 season. Women For Men's Health presents its annual fundraising blowout at Hotel Arts on February 1. Your gala ticket includes food, drink, dancing and other fun until the wee hours, all in support of raising awareness of men's health issues. The biggest fan event of the year returns with a stellar lineup of guests, creators and and exhibitors to satisfy entertainment fans big and small. This year’s highlights include the cast of Back to the Future(Michael J. Fox, Christoper Lloyd, Lea Thompson, James Tolkan, and Tom Wilson) live in conversation on April 26, plus appearances by cast members of Smallville and mega stars like Pamela Anderson, Sean Astin and Rainn Wilson. Calling all music enthusiasts, nerds and obsessives: the Calgary Music Collectors Show in back on Sunday, May 5 at the Acadia Recreation Complex. Browse more than 100 vendors, win doors prizes, listen to DJs and have your records appraised for free. If you’re extra keen, splurge on the $10 early admission (9:30 a.m. as opposed to 11 a.m.) to beat the crowds and get first dibs on rare records, cassettes, CDs and memorabilia from across the genre spectrum. 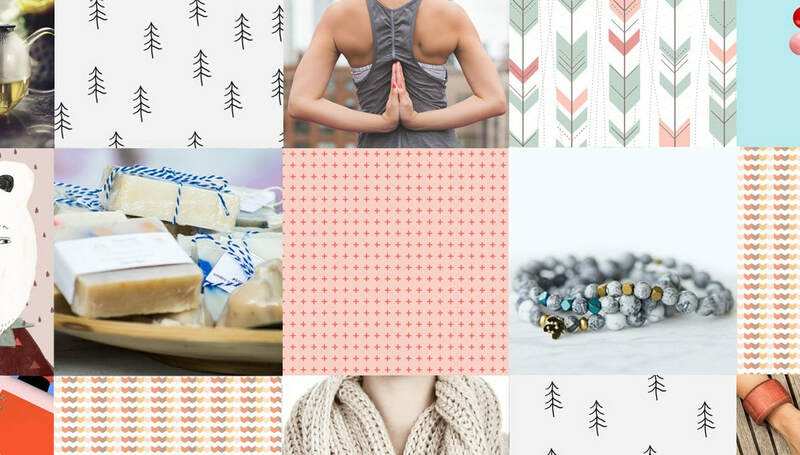 The What A Woman Wants self-care symposium and marketplace is a chance to make yourself a priority in a fun, communal setting. There will be an array of speakers on topics like psychology, entrepreneurship and minimalist living, as well as vendors like Ali’s Magic Socks, Burnt Glass Studio and Origami Owl. Two-for-one tickets can be purchased online in advance and walk-ups will be sold at the door. 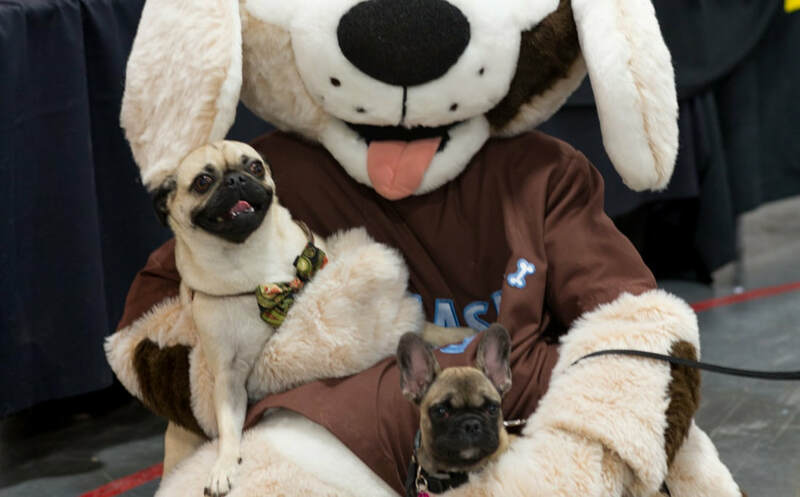 Bring your pooch and a donation down to the Triwood Arena on May 25 for the DogFest Spring Fling. There will be indoor and outdoor play areas for dogs, food trucks for humans, a pet portrait studio and a vendor market to peruse. If you’re dogless and hoping to change that, there will be a number of dog-rescue groups on site to get more info about adopting. Calgary’s first festival dedicated to promoting waste reduction comes to life on July 20 in the East Village. There will be expert speakers as well as vendors of waste-free or waste-reduction products and services. The event will be held outdoors on the promenade next to the George C. King bridge and is to free to attend. The Calgary Stampede is an annual event held in Calgary, Alberta, Canada that welcomes more than 1.2 million visitors a year from around the world. Also known as the Greatest Outdoor Show on Earth, this unique 10 day event blends the very best in Western Canadian culture and contemporary entertainment. Key highlights include the Stampede Rodeo and chuckwagon races, the Midway and a variety of musical concerts and venues featuring some of the world's most popular performers. BREWMASTER DINNER WITH SIDING 14 BREWING CO. Hosted by The Market Bistro at Three Sisters, join us for a 5 Course, Beer Pairing dinner with Marty and Casey from Siding 14 Brewing Co.
Soak in the unique flavours as you enjoy the atmosphere and entertainment that will enhance your tasting experience. 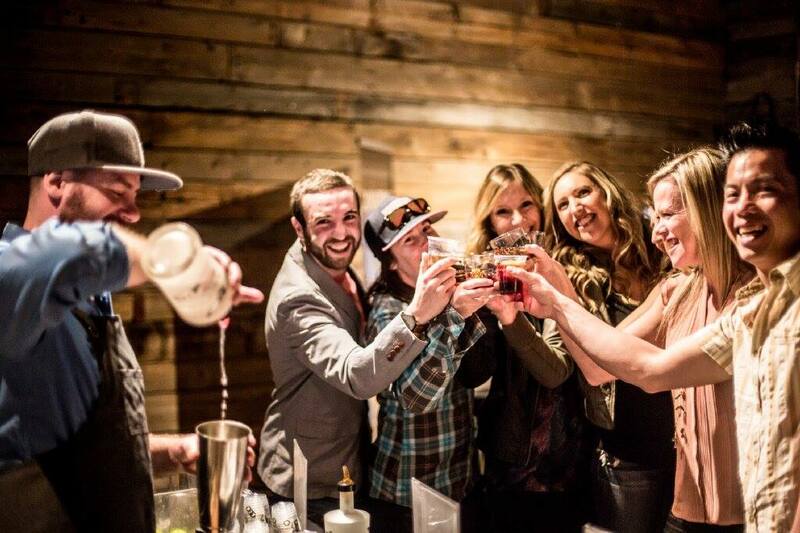 Invite your friends for a great evening before or after enjoying one of Canmore’s remarkable dining experiences. Can’t decide which drinks festival? Why not do both! See packages to combine Spirits with the Wine or Beer Festival. FAST AND FEMALE GIRLS RUN PRESENTED BY ROCKY MOUNTAIN SOAP CO. This is a fun run for girls between the ages of 5-12 years old who will be running along side inspiring elite female athlete Ambassadors. The girls will run 500m or 2km with the female Ambassadors. Early bird tickets have sold out, but the regular $20 tickets are still available! Banff Centre for Arts and Creativity and artsPlace join forces to present Opera Night - an evening to experience Canada's next great opera singers and instrumentalists present chamber music from the 20th and 21st Century. This is your opportunity to hear them before they take over the world’s opera and concert stages. Plaid Goat MTB Festival is 3-day cultural celebration revelling in the mountain bike stoke of the Canadian Rockies. 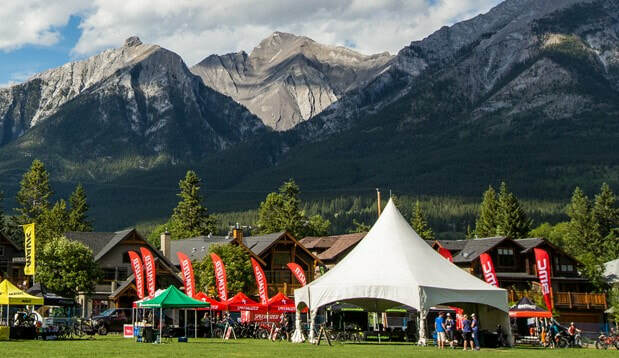 The weekend will include an expo, unlimited bike demos and shuttles for Demo Shuttle Wristband holders, group rides, a craft beer tent, kms on end of great Canadian singletrack & more! 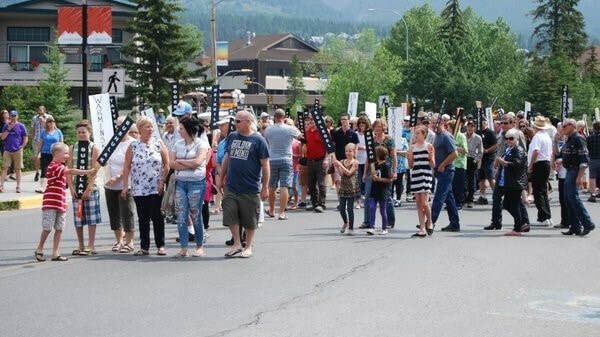 Enjoy a festival that celebrates everything Canmore has to offer. 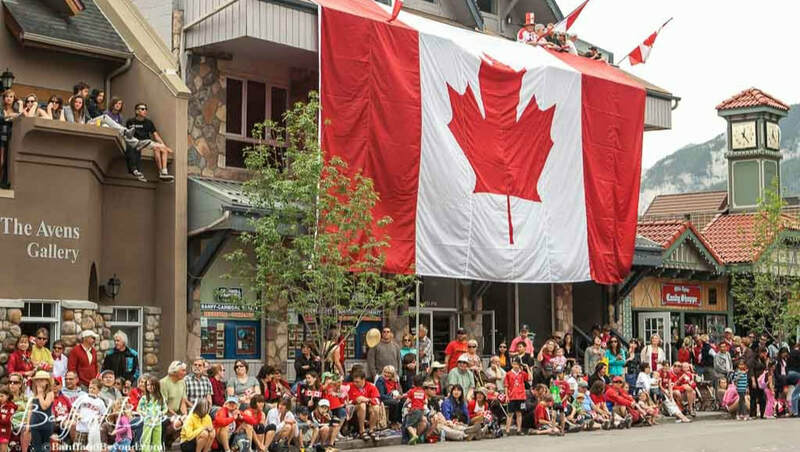 It’s Canmore Canada Day! The fun activities include a parade, a party in the park, great food, kids events and bike races. Plus, you don’t want to miss the fireworks show to close out the day’s excitement! Join us in commemorating the 40th year since the closing of the last Canmore Mine. Details to be announced. There's laughter in the mountains! Join us every month as we present hillarious stand up comedy acts in partnership with Yuk Yuk's and The Grizzly Paw Brewing Co. The Canmore Folk Music Festival is the longest running folk music festival in Alberta and one of its finest. Adhering to a philosophy and legacy of folk, world, blues and roots music, the festival since 1978 has attracted up to 21,000 music fans annually from across southern Alberta, western Canada, the northwestern USA and indeed the world. Dervish have been bringing Irish traditional music to the world for more than 25 years. Described by the BBC as “an icon of Irish music”, the band has played at festivals from Rio to Glastonbury. Dervish have a line-up which includes some of Ireland’s finest traditional musicians, fronted by one of the country’s best-known singers, Cathy Jordan. Prepare yourself for a full day of excitement! 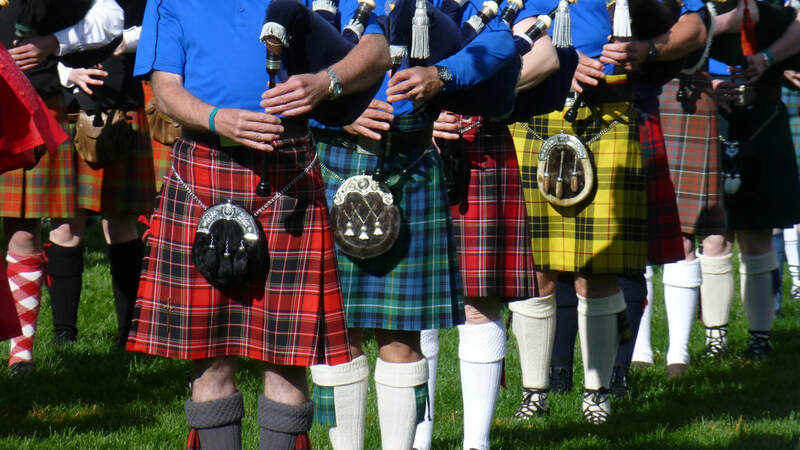 Enjoy a pancake breakfast followed by highland dancing, piping and drumming. Plus, you can get involved in heavy sports and tug of war games. Don’t forget to stay refreshed with traditional food and drink. There’s even a beer garden and you can experience scotch tasting! This one-of-a-kind mountain retreat provides spacious vacation accommodations alongside five-star resort amenities amid the majestic Canadian Rockies.